Pre-Spring Pesto: Toast, Vegetables, and Scramelettes get the Dollop. 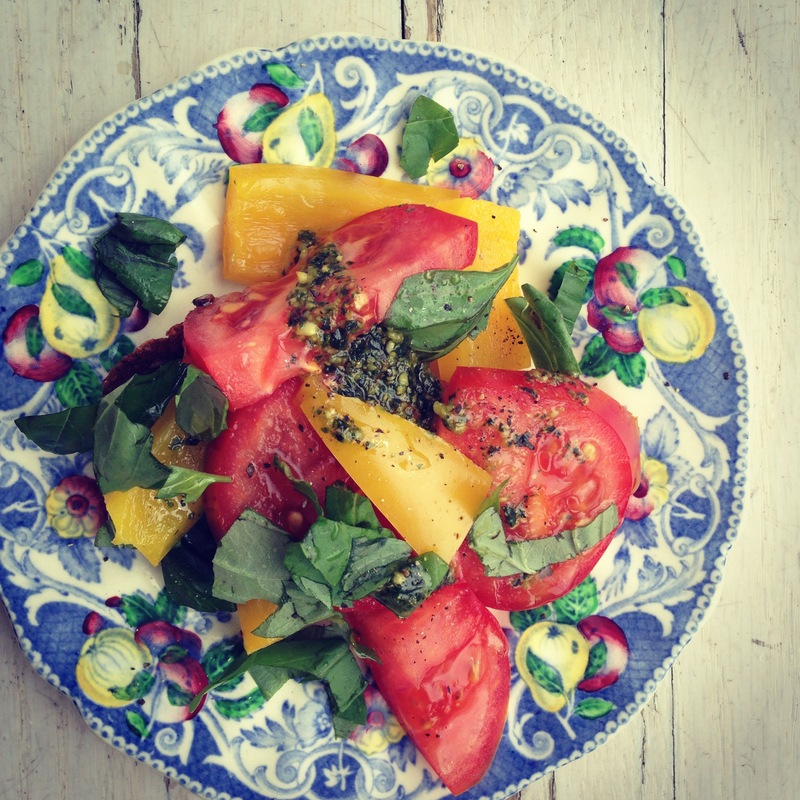 Simple spring lunches are sweet treasures. 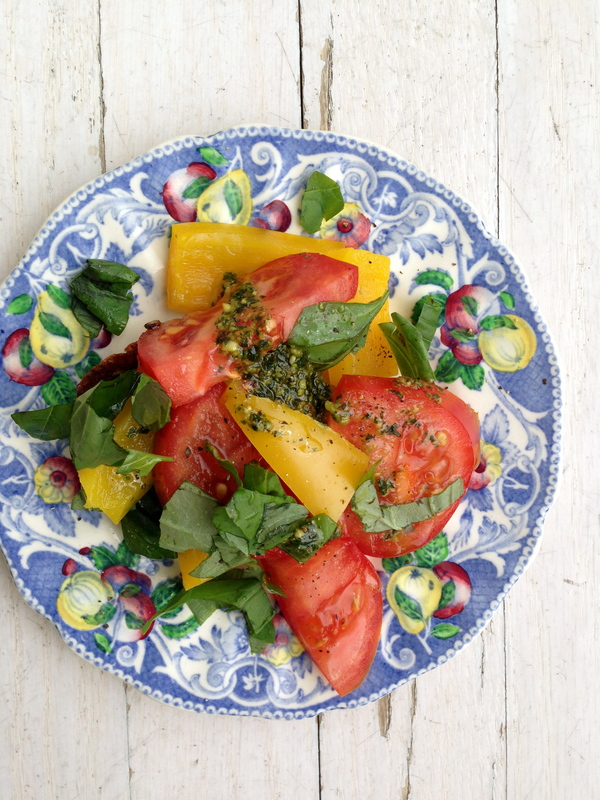 Fresh basil, tomatoes, yellow bell pepper on toasted honey grain boule. 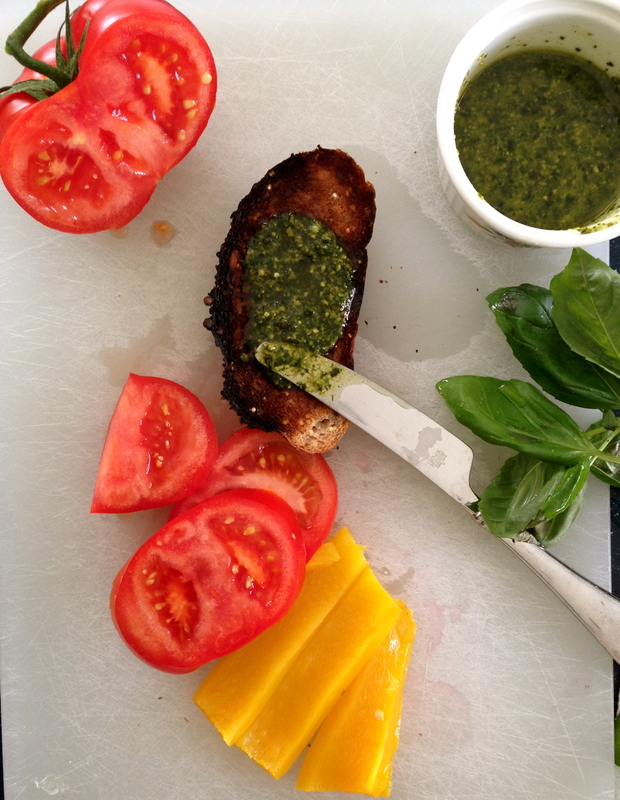 The makings of a quick pesto lunch. 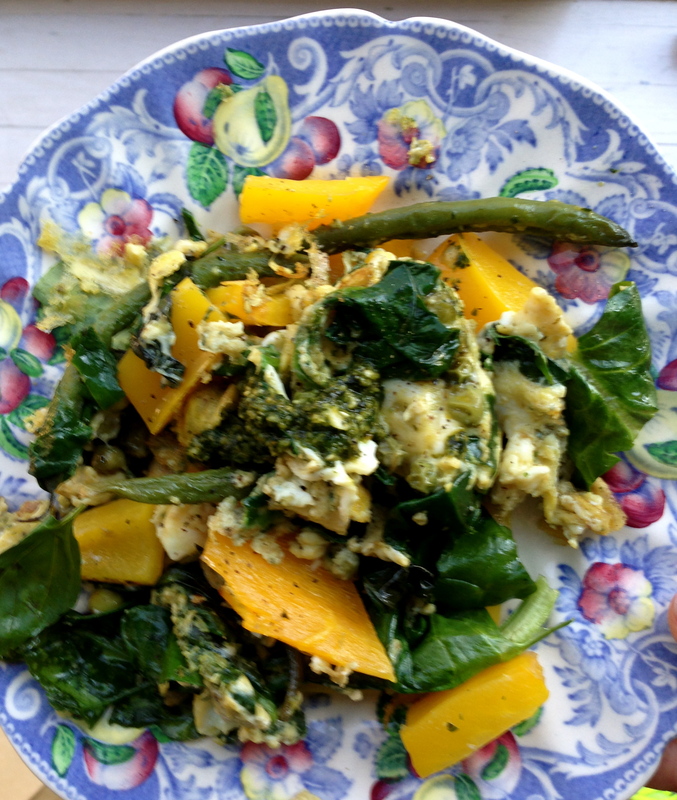 Green eggs and yellow vegetables..Pesto makes for an inventive addition to omelettes and scrambles. 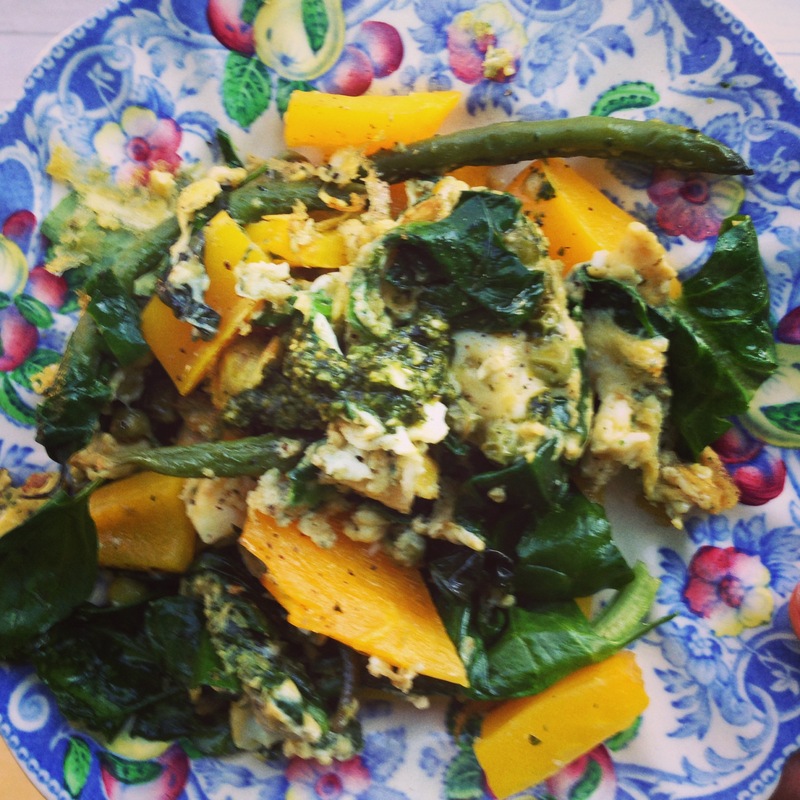 Here, I added a spoonful or two to an egg white scramelette (omelette meets scrambled) with yellow bell pepper, string beans, basil, and spinach. There’s toast under there. 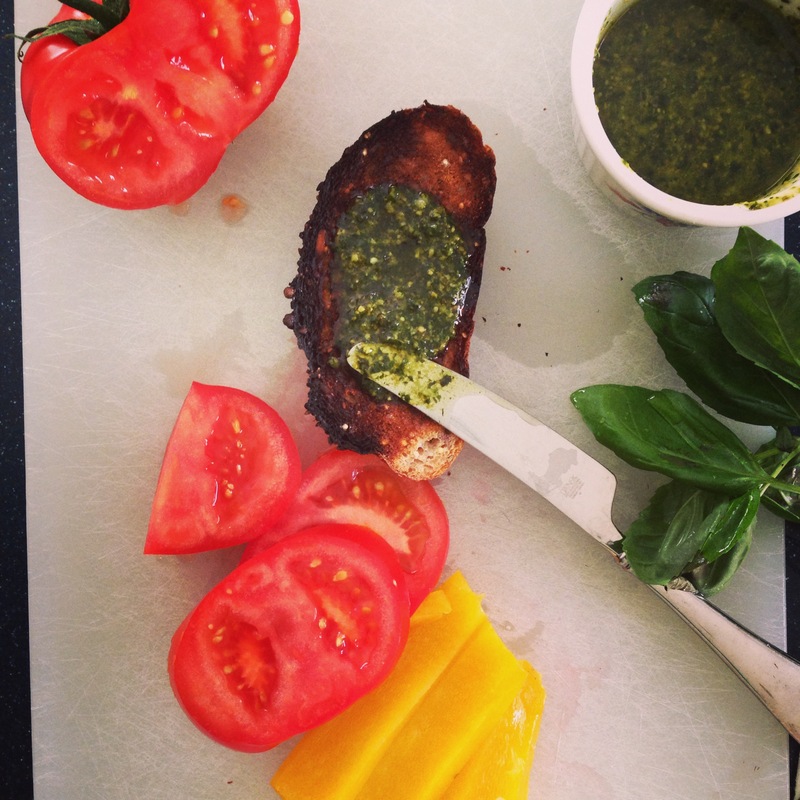 Toast spread with pesto, no less, and topped with torn basil (don’t cut it with a knife lest you like your basil black), raw yellow pepper, tomato, a dollop of pesto, and cracked black pepper. Another scramelette. 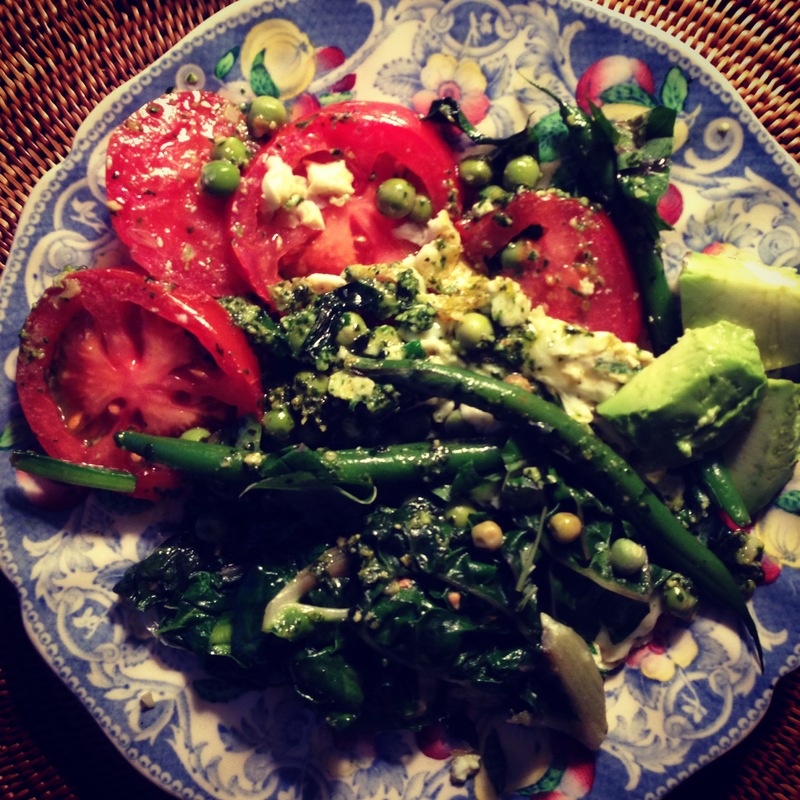 This time with spinach, tomatoes, spring peas, haricot vert, and a few chunks of avocado for good measure.